Beautiful gifts to treasure forever. 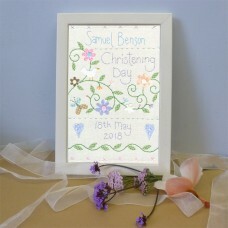 Hand stitched samplers to record all the details of Baby’s special day. 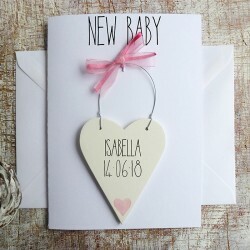 Unique range of personalised keepsakes and ‘Welcome to the World’ & Christening cards from Country Heart. 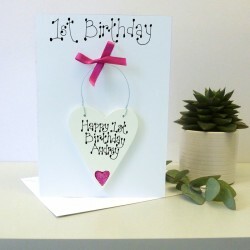 Baby Boy's Personalised Birthdate Heart. 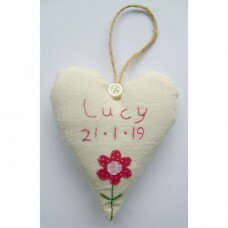 Hand Embroidered and appliquéd especially for Baby, fe..
Baby Girl's Personalised Birthdate Heart Hand Embroidered and appliquéd especially for Baby, fe..
Blue Guardian Angel. 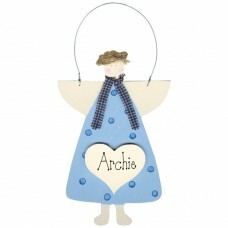 A great and original New Baby or Christening gift. This wooden hand .. 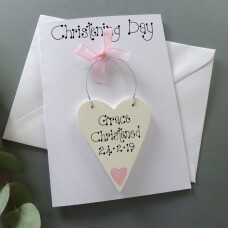 Boys Personalised Christening Gift Box A unique Christening Day keepsake. 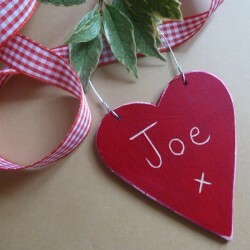 A great gift for prou.. 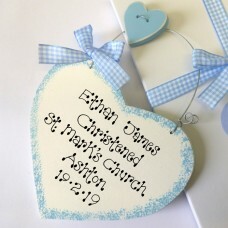 Boys Personalised Christening SamplerA charming personalised Christening memento. 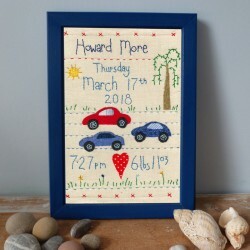 A great gift for p.. Girls Personalised Christening Gift Box A unique Christening Day keepsake. A great gift for pro.. Girls Personalised Christening SamplerA charming personalised Christening memento. 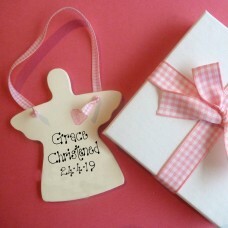 A great gift for ..
Personalised Angel Christening Gift Box AVAILABLE IN PINK OR BLUE. 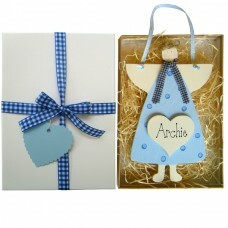 A delightful little woo..
Personalised Angel Gift Box (Blue). 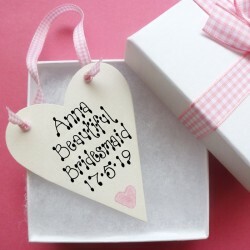 The perfect gift to mark that special occasion and remember..
Personalised Angel Gift Box (Pink). 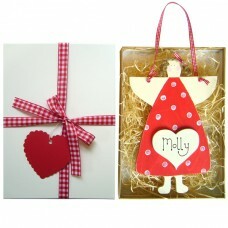 The perfect gift to mark that special occasion and remember..
Personalised Angel Gift Box (Red). 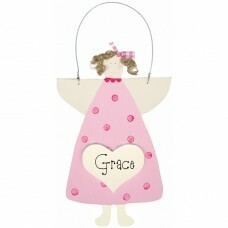 The perfect gift to mark that special occasion and remember ..
Personalised Angel Holy Communion Gift. 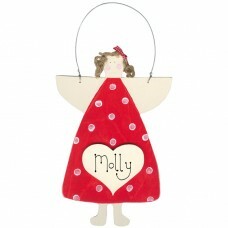 AVAILABLE IN PINK, RED OR BLUE. A delightful..
Personalised Baptism Day Card Personalised Baptism Day Card. 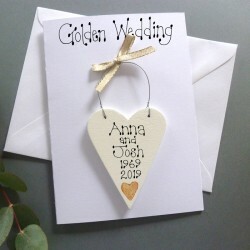 This card bears a person..
Personalised Christening Day Card (Boy's) This card bears a personalised detachable wooden keep..
Personalised Christening Day Card (Girl's) This card bears a personalised detachable wood..
Personalised Christening Love Token AVAILABLE IN 4 COLOURS. A charming personalised Chris..
Personalised Naming Day Card (Girl's) This card bears a personalised detachable wooden ke.. Pink Guardian Angel. 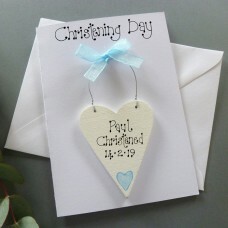 A great and original New Baby or Christening gift. This wooden hand ..
Red Guardian Angel. 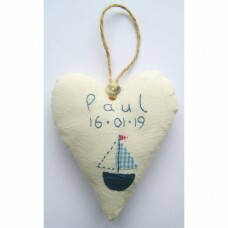 A great and original New Baby or Christening gift. This wooden hand d..